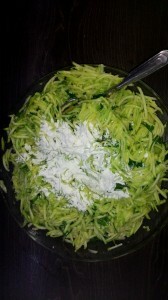 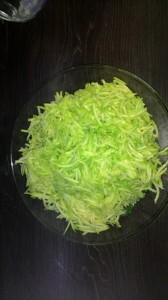 Grate zucchini and add some salt and pepper to taste. 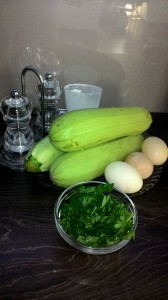 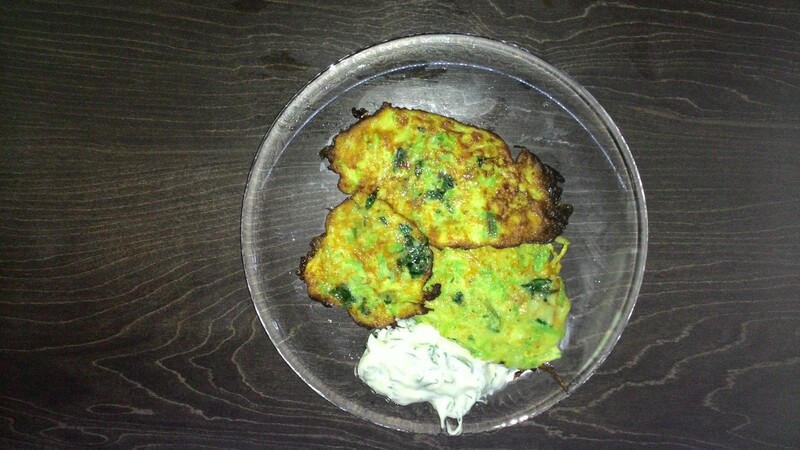 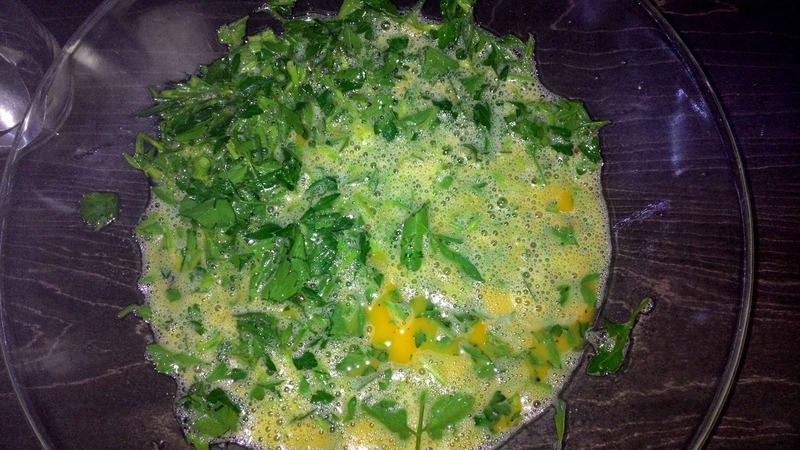 Combine zucchini, flour, eggs, some green spices. Heat olive\sunflower oil in a large skillet over medium high heat. 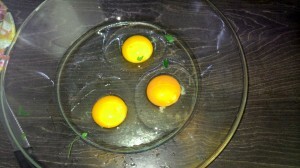 Cook 2 to 3 minutes each side until golden brown.